Dubai’s stock market rose on Wednesday led by gains in its largest bank Emirates NBD after it signed a $2.8 billion deal to buy Turkey’s Denizbank, while Saudi Arabia edged up on the back of its banks. The Dubai index rose 1 per cent with Emirates NBD increasing 4.7 per cent after hitting its highest level since 2008 earlier in the session. The bank will buy Denizbank for 15.48 billion lira ($2.8 billion) after reaching a new agreement with Russia’s state-owned Sberbank. The offer is a roughly 20 percent discount to a previously agreed price, after a steep fall in the Turkish lira. “Even though deal will destroy some shareholders value (reflecting ENBD’s desire to enter a new market rather than showing M&A discipline), the unlocking of value through the foreign ownership limit should be a multiple of that,” Arqaam Capital said, rating the stock as a ‘strong buy’. The Saudi index edged up 0.2 per cent, with Riyad Bank increasing 1.1 per cent and Al Rajhi Bank gaining 0.4 per cent. Saudi’s Mediterranean and Gulf Cooperative Insurance and Reinsurance rose 2.3 per cent after the firm announced a decrease in its accumulated losses to 273.5 million riyals ($72.93 million) as of December 31, 2018. Abu Dhabi’s index slipped 0.3 per cent with its largest lender First Abu Dhabi Bank sliding 0.4 per cent. The bank raised $1.1 billion in three-year bonds and the floating rate notes are listed on London Stock Exchange and the Taipei Exchange, Reuters reported. In Qatar, the index slid 0.1 percent as Qatar National Bank, the largest bank by assets in the Middle East and Africa, declined 0.7 percent. 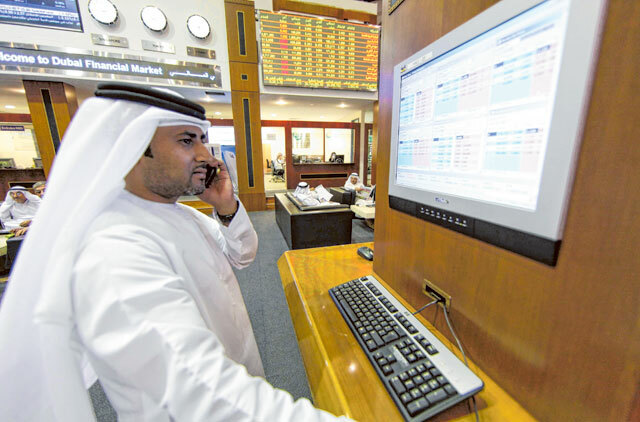 Mesaieed Petrochemical Holding dropped 0.5 percent. The company gained in the last three sessions after its inclusion into the MSCI emerging market index in May, which is expected to result in passive inflows of $230 million, according to Arqaam Capital.